But I’m actually decently happy with my efforts. I did 5161 words on my novel, which is about as much as I’ve done for any other NaNo before (obviously, I didn’t win those times either…). I had a couple of writing sessions where things were flowing well, and I felt like it was getting easier. Then I had a session where I completely hit a wall and had to step away and watch made-for-TV Christmas movies and do cross-stitch for awhile to let me brain ruminate. Also, I tried to plan out scenes while showering, because honestly I do my best thinking in the shower. Don’t you? At the start of the month, I wrote a key flashback scene that I’d been working towards but couldn’t quite figure out. As soon as I wrote it, I took a shower and figured out a way to do it better. So, I re-wrote the whole scene. It was great for my word count, but not so great for making progress on the story, which was my real goal this month. In any case, I’m further along than I was before and that’s all I can ask. I am way too stubborn to give up on this novel! Next Article December is now Star Wars Month on Jedi by Knight! 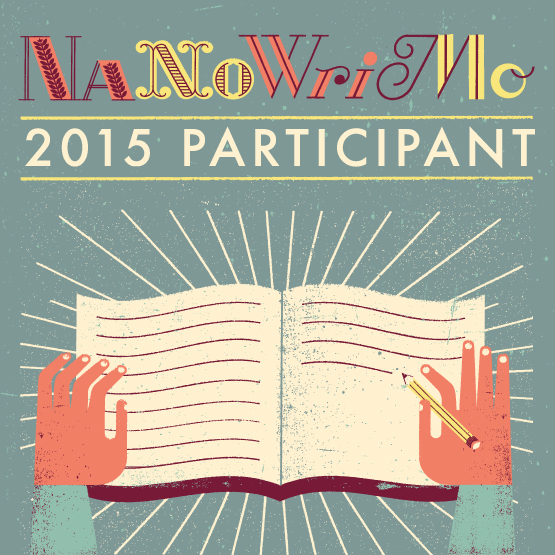 You’re 5000 words ahead of many of us for November word counts. Keep going on your novel! I do my best thinking in showers too. It’s amazing the business ideas I’ve come up with. I also think well when I’m biking but I don’t bike as much anymore.